Dress made of soft and organic cotton. Girly dress in a white color with an interwoven rose gold metallic stripe. This dress has elastic at the collar and pockets on the sides with rose gold buttons. Cute short dress with elastic at neck- and waistline and beautiful butterfly sleeves. This dress is white with an interwoven rose gold metallic stripe. This dress is white with stripes in warm sand. Beautiful dress made of soft and organic cotton. An elegant and summery dress in blue and white stribes – with tie details on shoulders and adjustable ties at the chest. Beautiful dress made of soft and organic cotton. An elegant and summery dress in white and sand colored stribes – with tie details on shoulders and adjustable ties at the chest. 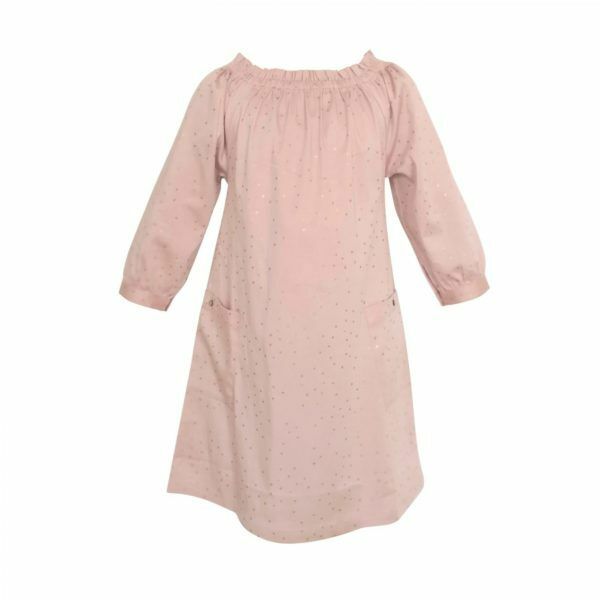 Dress made of soft and organic cotton.The cutest dress in which the upper part is made of soft embroidery and the lower part of cotton satin in a nice warm sand color. Dress made of soft and organic cotton. An elegant and sporty dress with bows at the front. A loose fit style in a beautiful soft blue color. A loose fit style in a beautiful warm sand color. Dress made of soft and organic jersey cotton. 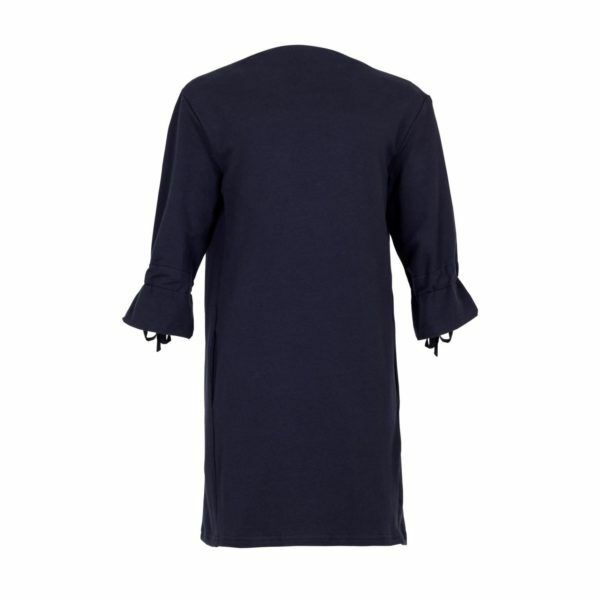 An elegant and sporty dress with tie detail on the sleeves and high collar. A loose fit style with side pockets in a soft blue color. A loose fit style with side pockets in a classic deep navy color. Dress made of soft and organic sateen weave cotton. Girly and elegant dress with print of sparkling rose gold stars. 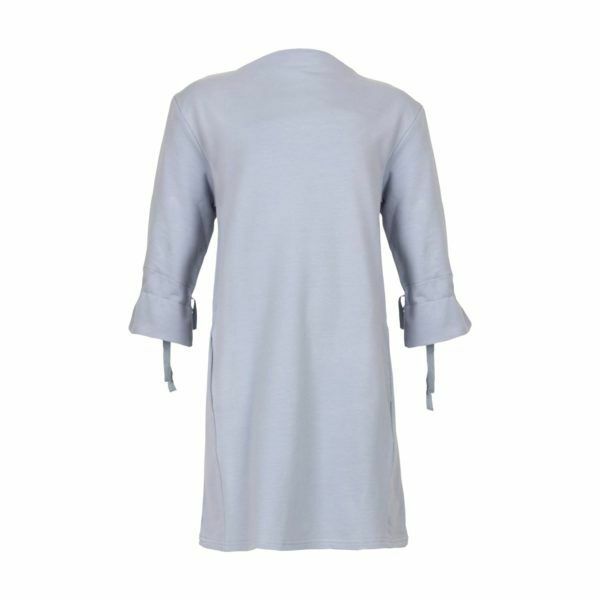 This dress has elastic collar with tie detail on the back and pockets on the sides with coconut buttons.